Today, Tuesday 24th July is Lifeline’s Stress Down Day, an important reminder of the importance of SLOWING DOWN. But rather than sit back and accept these statistics, let’s take charge, make a change and start reducing daily stress levels. Making a rule around not bringing work into the home can be difficult, especially with the expectation that we must be accessible 24/7. But by leaving the laptop at work you may also be more likely to leave the stress of work there too. If you work from home or it is simply not feasible to do this in your position, allocating set times that you work and areas of the house that you work from, may help you ‘shut off’ and stop work stress seeping into your home life. Put the Smart Phone Down! According to a Roy Morgan Research study, 45% of Australian smart phone owners (14+ years) say they can’t live without their mobiles. Our obsession and absolute dependence on our smart phones are making it even more difficult to walk away from work with emails accessible at a swipe. Forming some healthy habits around when and where you use your smart phone may help you switch off, allowing you to relax, be present and enjoy home life. Research also shows that the blue/green light omitted from smart phones impacts negatively on sleep, so keeping phones and laptops away from the bedroom is a must. Sharing your plan to ‘leave work at the office’ with loved ones or friends will help make your commitment real. Give them the power to call you on it, if you are sneaking in one more email before bed or taking calls when you should be relaxing with the kids. Sharing your ‘de-stress plan’ and forming a good support network will also help share the burden of stress or help manage the symptoms. Making a cue or signal that works has finished for the day may help your brain switch off. Whether it is going for a run, hitting the pilates studio or listening to music on the way home, these are simple ways to say to yourself and others, ‘I am done for the day’! There really is no better de-stressor than exercise. This can be time just for you to unwind, work on your fitness and have a bit of “me time”. Exercise has been clinically proven to increase serotonin levels in the brain and is a natural mood enhancer. It can also help you think things through, decompress and work through any baggage you may have taken on for the day. 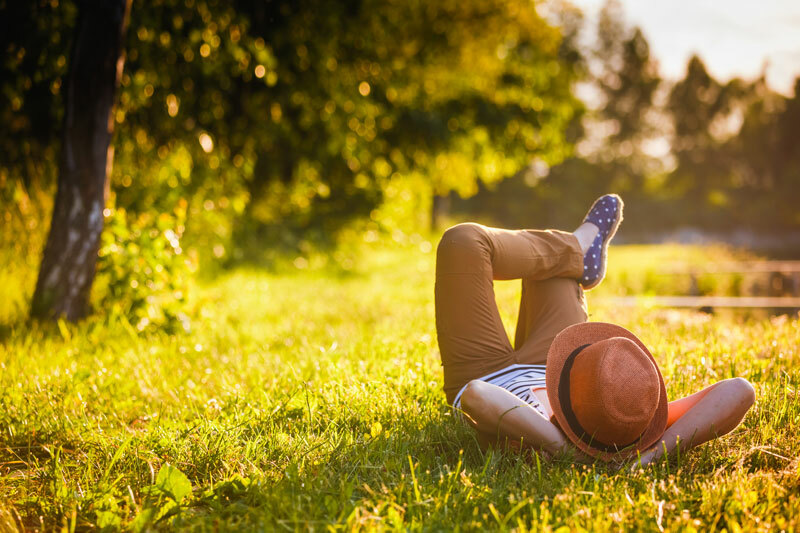 Achieving the right work life balance can be a challenge in our fast pace society but by learning how to manage stress; you can significantly improve your health and wellbeing. If you are struggling with stress, talking to a professional can help. Psychology Consultants have a team of Clinical Psychologists based at Morningside and Newmarket, who are experienced in stress management. Visit the Brisbane Psychologists page of our website to view the team and their areas of specialisation. Combatting irrational fears by making them boring! Feeling fearful is natural, an inbuilt human survival instinct; stemming from our caveman times when survival really was a matter of life and death. Modern day fears though, are often irrational fears or phobia where little or no realistic threat exists. The reality of the posed threat however, is irrelevant to those suffering from irrational fears, and often those afflicted are imprisoned by avoidance behaviour, preventing them from enjoying life and often leading to depression. Some fears or phobias are less constrictive to everyday life, like a fear of snakes when you live in the city, whereas other phobias, like a fear of driving or social situations, can impede on everyday function. Interestingly, above fear of heights, snakes or flying, social phobia is reported as the most commonly held fear. Avoiding the feared situation is a natural response to reduce feelings of anxiety in the short term, however in the long term, the severity of the fear will only worsen. When fears are putting the hand-break on your life, it’s time to enlist professional help to kick those fears to the curb by challenging them to a duel. One of the most well-known psychological practices for overcoming irrational thoughts and anxieties is Cognitive Behavioural Therapy (CBT). This involves challenging irrational thoughts as they enter the mind and shutting them down as to change action and behaviour. Once the thoughts are being cognitively challenged, the next step as a part of CBT is to overcome the specific phobias is by facing them front on. For many people, confronting the fear in real life situations, as stressful as it may be, is the only way out. Exposing people or animals to things repeatedly so that they become so familiar and unstimulating, is what psychologists refer to as ‘Exposure Therapy’. This form of therapy is widely considered the most effective treatment for anxiety disorders and specific phobias. Essentially, the theory is based on facing your fears directly, not only by challenging the thoughts but by carrying out the feared action or immersing yourself in the feared situation to gradually decrease your sensitivity to the fear; in the end make it ‘boring’. There are several variations of exposure therapy and your psychologist can help you determine which strategy is best suited to you. Exposure therapy can be a stress provoking experience and is best practiced under the guidance of a psychologist who will create a safe environment for you when undergoing this treatment. A gradual approach is often recommended with each confrontation or experience revealing new realities, building confidence and gaining power over those irrational thoughts and fears. However difficult confronting those fears may be, the long-term benefits, far outweigh the short-term discomfort, setting you free to live life to its fullest. If you are a prisoner to your fears, take action today by seeing a psychologist. You have nothing to lose and everything to gain.